Play all region DVD movies without the expensive dongle/remote. ALL controls can be accessed via you.. ::. Where can I download dvd-x2 progessive scan? Problems with DVD-X v1 (Team Gueux) anyone?? Alot of time was spent adding functionality to the dash including. By no means complete, this beta release contains: - Entirely Remodeled Dash - New Menu System -"Idiot Proof" Config Panel -Skins Menu -Skins Preview -Skins Switching -In Da..
Kawa-X is a a Capcom CPS1, CPS2 and SNK NeoGeo emulator for the xbox console. 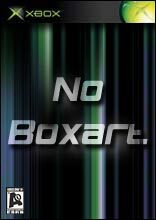 Current Release: v0.11..
Surreal 64 is a Nintendo 64 emulator for the xbox which combines three Windows based Nintendo 64 emulators that have been ported to the Xbox. These emulators are 1964, Project64 and UltraHLE. By porting three emulators we aim to improve the ov..